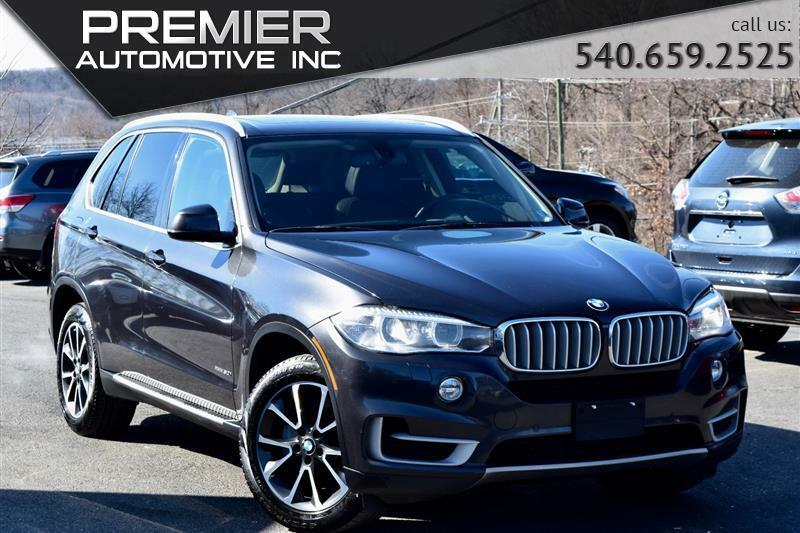 2016 BMW X5 Printer Friendly Flyer. *Actual rating will vary with options, driving conditions, habits and vehicle condition. Premier Automotive Inc. makes every effort to provide the best possible service to our customers and list the vehicles accurate information online. However, this information is provided to us by a third party such as manufactures, auctions and other sources. The dealership will not be responsible for any inaccurate information about a vehicle. It is the customers sole responsibility to verify any information listed online prior to their purchase. Looking for additional peace of mind? Ask your salesperson about an extended warranty. We deal with a variety of warranty companies to help better serve our customers. Premier Automotive Inc. will not be responsible for any open recalls, please review https://www.nhtsa.gov/recalls to determine whether there is an open recall on this vehicle. Your local manufacturer’s dealership should repair any open recalls less then 10 years old, free of charge. Premier Automotive Inc. advises its buyers to check the accuracy of the information given by any and all means at their disposal prior to purchasing the vehicle. Premier Automotive Inc. also makes every effort to be transparent when it comes to the vehicles history. Every customer prior to purchase is provided a free Carfax or Autocheck report. As it is a useful tool when purchasing a vehicle, not all accidents/damages, maintenance/service, type or numbers of previous owners, auction announcements, are reported to the history report. Regardless of what the history report may show if the dealership is informed by the auction or aware of a previous accident/damage we will inform the customer orally and in writing prior to selling the vehicle as well as listing it in the description below. This vehicle has been involved in a previous accident and was announced by the auction as structural/unibody damage. We encourage all customer to have the vehicle inspected by a third party to their satisfaction prior to their purchase. Premier Automotive Inc. prints the Carfax/Autocheck history on the same day of purchase from the auction or the day its traded in. The dealership will not be responsible for any changes to the report from the one provided to the customer. The history report is subject to change at any time without notice due to other sources consistently reporting to them such as insurance companies, auctions etc. It may even change long after the customer has purchased the vehicle. Premier Automotive Inc. is simply a customer of Carfax/Autocheck, please print an updated report at www.carfax.com and www.autocheck.com at your own expense. Furthermore, Premier Automotive Inc. will not be responsible for any voided warranty by a manufacturer or a third party due to previous accidents/damages, auction announcements, lack of maintenance or previous owner’s negligence. Special internet prices are based on a one-time payment such as cash, checks, certified funds etc. For vehicles financed, finance charges will be applied and will be greater than the price listed online. All vehicles sold are subject to a $799 dealer processing fee. Buyers are responsible for all state, county, city taxes and fees in the state that the vehicle will be registered. We reserve the right to end this listing at anytime should the vehicle no longer be available for sale and the sales prices are subject to change without notice.